Want to know the best way to clean your vape pen? You’re not alone. 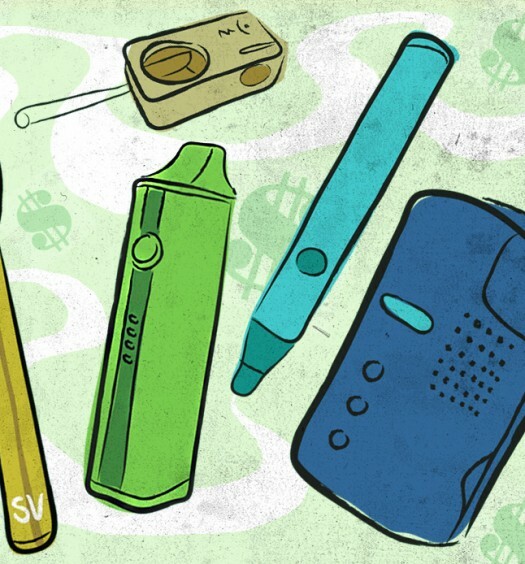 As portable vaporizer pens continue to grow substantially in popularity, many new users have written to us asking about proper cleaning methods and techniques. Some of these units are quite delicate and can be damaged if cleaned improperly. One important factor in cleaning your vape pen is the type of materials it is designed for. The three primary types are dry herb (“flower,” “buds,” “nugs,” etc.) waxy solid concentrates and liquid oils, such as E-Juices. All three have their own distinct designs and likely would require different cleaning methods from one another. Vaporizer pens that are designed specifically for flowers are usually the easiest ones to clean. As there is no sticky waxy/oily residue in the chamber to clean, most dry herb chambers are easily cleaned with a small cleaning brush. The cleaning brush should easily loosen any vaporized herbs that are in the chamber, making emptying quick and easy. When cleaning an herbal vaporizer such as the AtmosRx or Pulsar 7, I prefer to loosen up the herbs and then gently tap them out on my Kind Ash Cache Tray. 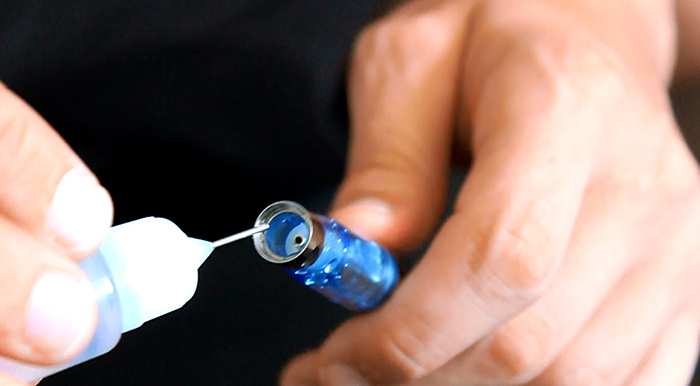 Wax pens can tend to be a little bit more difficult to clean fully, as the concentrates usually leaves a sticky residue in and sometimes around the threads of the heating chamber. For example, my 710Pen tends to stay clean on top of and inside the heating coil itself, because most, if not all material is vaped off when using the pen. What I did notice was some of the wax getting into the threading of the herb chamber and when it dries, it can become difficult to unfasten the herb chamber from the mouthpiece connector. I find the most effective method for cleaning the concentrate out of the threads is to use a Q-Tip dipped in Isopropyl Rubbing Alcohol and run it along the threading of the heating chamber. Be careful not to get any inside of the heating element itself. A little bit probably won’t disrupt the unit’s performance, but if too much gets in, it could leak into the battery and cause malfunction issues. Note: When using a Vape Tool or Dab Tool, DO NOT scrape it against your heating coil. Most of these wax chambers have a small, very fragile coil that can be severed extremely easy and will render the entire chamber useless. When using the Vape Tool to load the chamber, I find the easiest and safest way is to scrape out some wax, put it on the tip of your finger and gently roll it onto the heating coil. E-Juice pens are by far the most popular of all vape pens. Providing a healthier and more convenient alternative to smoking traditional cigarettes, e-juice vapes have grown enormously over the past 5 years. The liquid oils can be a slight hassle when it comes to clean, but there is a fairly easy way. With pens such as the Vaporite Sapphire or the Pulsar Buck Naked, I find the easiest way to clean is to remove the tank from the battery, remove the mouthpiece and then slowly run warm, not hot, water into the outer tank area, where one would normally load the E-Juice. If you have a small syringe-type loading tool for your oils, this will work perfectly to clean the unit if filled will warm water. Have specific questions about how to clean a particular vape pen? Let us know in the comments below! How do you clean the oil cartridge for an atmos rx vape pen? I have a yocan tech 94 f, its stuck, wont open, do i let it rest in isopropil alcohol or something, cause i know itll loosen up the residues and help me to open, but can i do that? My SUBVOD is clogging, I have tried shaking the ejuice out of it as well as washing it out with water and it’s still clogging up. What do you reckon I should do? Vape will not smoke any more…charged for three days it just keeps blinking. Help plz!! Your best bet is to contact the manufacturer.